The Deborah Conference (TDC) community are an army of cutting-edge Christian Women Entrepreneurs, also known as #mightyDeborahs walking out their faith with boldness, wisdom and discernment. As #mightyDeborahs we don’t shrink back from taking action on what God has called us to do in and through our business endeavours. Daily we choose to live a business life of PASSIONATE PURSUIT and PURPOSE wrapped in HIS PRESENCE. As an army of #mightyDeborahs we cloth ourselves in the armour of God: the helmet of salvation, the breastplate of righteousness, the two edged sword of the Word in one hand and the shield of faith in the other. Our waists are girded about with the belt of truth and our feet are shod with the gospel of good news (Ephesians 6:10-18). #mightyDeborahs stand against the schemes of the evil one and we do not turn back when we see oppression coming at us. In the heat of the battle we know that our God is well able: He is able to do exceedingly abundantly above that which we ask or think. God has called us to be brave, focused and courageous; to serve and minister to a broken and hurting world with His love and miracle working power. Only God’s love and power can bring healing, change and breakthrough. #mightyDeborahs are GOD-WARRIORS, committed to standing firm in their faith when all is raging around them and the storms are overwhelming. We cry out to our great God for peace in the midst of the storm. Though we may be battle-weary and our faces at times tear-stained and our heart aching from disappointments YET we choose to rise. YET we choose to declare if our God is for us, then who can be against us (Romans 8:31). #mightyDeborahs it is our time, it is our hour, we are commissioned and anointed to SHIFT THE COURSE OF HISTORY! Christian Woman Entrepreneur are you up for the challenge? 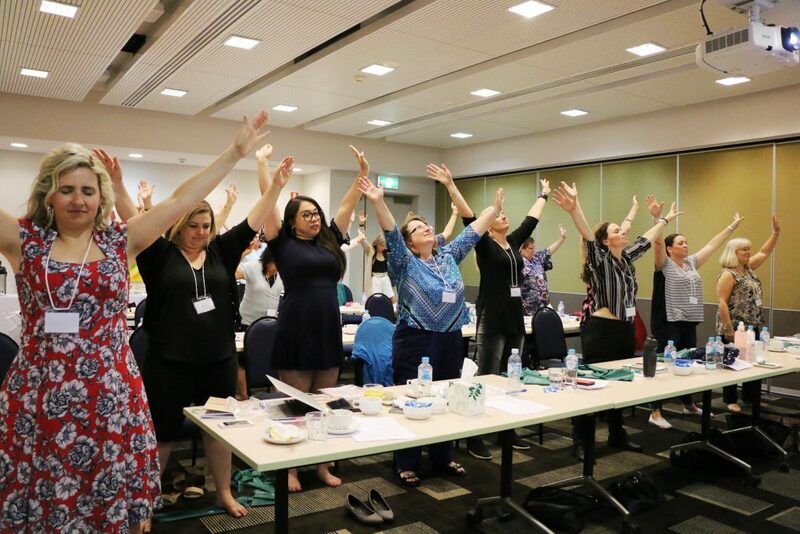 Will you join this Deborah Conference community of women who have no other agenda except to SURRENDER fully and wholly to their God and then stand amazed at that which He chooses to pour in and through us? For one reason only: that the Kingdom of God would be expanded and His glory indeed would cover the earth (Habakkuk 2:14)..
Go forth in the strength and might of our faithful God.